​Any new product or service on the market can have its mixed emotions from future customers. Paintless dent removal is just one of the processes on the market today that may raise a few eyebrows from people who have yet to hear about it. 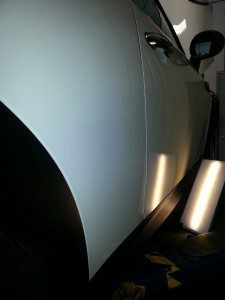 People who have had to shell out a large amount of money to fix a dent or a ding on their car will most likely be very willing to learn about PDR and how they can save money by using it rather than a previous method. Why Are People Skeptical About Using Paintless Dent Removal? Paintless dent removal is a wonderful and easy process which may turn people of the traditional mindset the other way at first. Something so simple and affordable cannot be as good as it seems right? No, wrong. PDR is one of the most common used processes on the market today to ensure that a dent or mark on your vehicle is taken care of correctly without messing up the original paint. No paint is needed during this process, which makes it even more appealing to those who feel as if color matching will be an issue at hand. People who have been ripped off in the past when it comes to repairing dents may feel as if something is cheaper, than it is too good to be true. That is definitely not the case with PDR. Paintless dent removal allows people to get their dents repaired without the high prices and sketchy mechanics who always try to find ways to add hidden fees or services to your bill. There are a wide variety of advantages that paintless dent removal gives to customers. One of the biggest things that customers enjoy about this service is that there are no fillers or paint used to do the repair work. By using fillers and paint, the value of the car drops and that can be bad for someone who wants to sell their vehicle in the near or far future. Insurance companies also are seeing that PDR is saving them money as well. Customers who agree to have PDR done on their vehicles can help the insurance company decrease their premiums and also save money on repair work. It also prevents a person from having to get a rental car, which can be quite expensive. Paintless dent removalcan be done in an hour up to a day depending on the damage needing to be fixed. The more this process is being used, the more people become less skeptical about it. There are numerous reviews on how paintless dent removal is the best service on the market and how it is the preferred method of service by a lot of different types of people; including people with a traditional mindset. 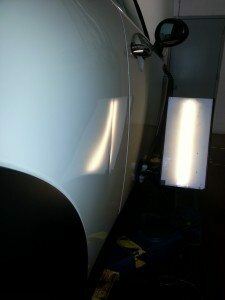 Sometimes seeing is believing, and that is why people who see how well PDR works and how simple it is to complete have an understanding of why this is such a popular service in the repair market today.